We were within the 6th Arrondissement of Paris at the Jardin du Luxembourg, when we took these high definition photos of The arms of France and of the Medici, by Alphonse de Gisors. 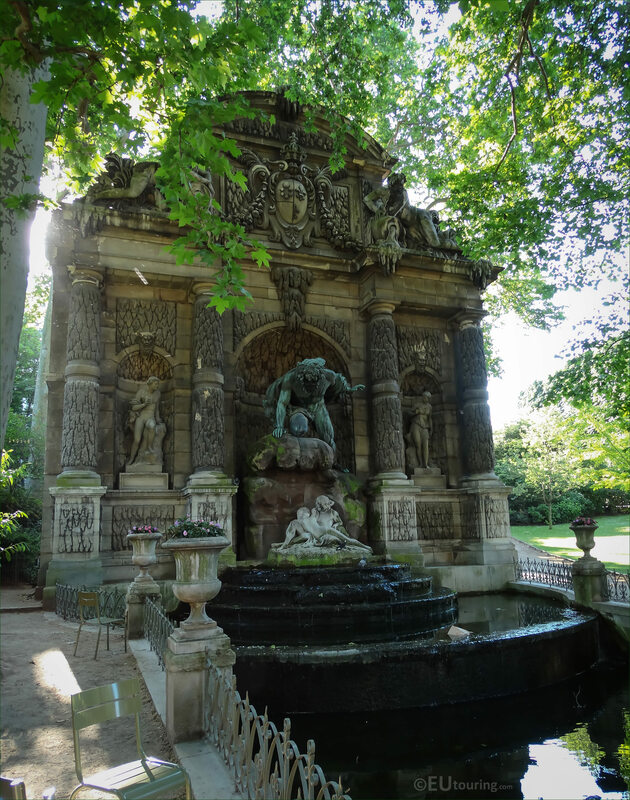 This first HD photo shows The arms of France and of the Medici, which is located at the top of the Fontaine de Medici and this fountain was constructed back in the 1600s for Marie de Medici, who was the widow of King Henri IV. 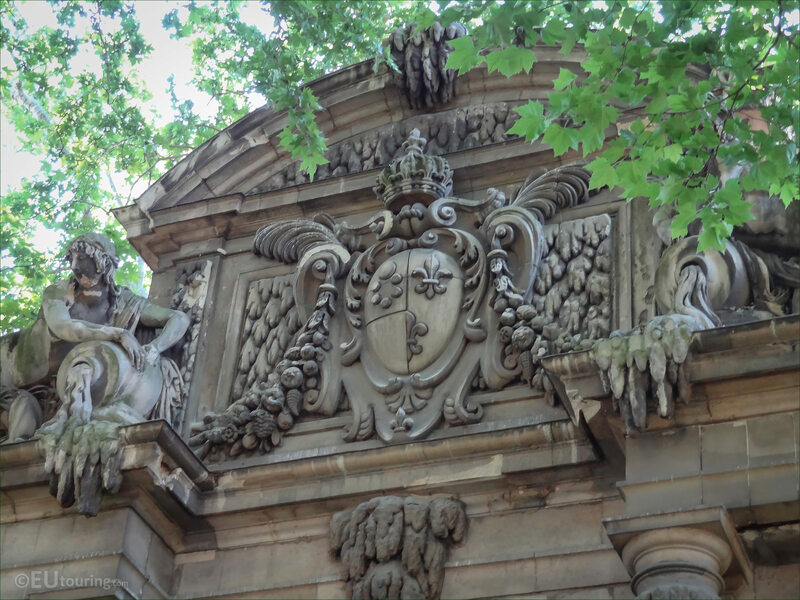 But this part was defaced and removed during the French Revolution, and during the major changes that were taking place in Paris with Baron Haussmann, the entire fountain had to be moved from its original position and this was entrusted to Alphonse de Gisors, who redone The arms of France and of the Medici. Now Alphonse de Gisors was born on 3rd September 1796 in Paris, and followed in the footsteps of his family to become a French architect, studying at the Ecole des Beaux Arts with Charles Percier and his uncle Guy de Gisors. So because of the influence his family had, early on in his career, Alphonse de Gisors was entrusted with designing several public buildings in Paris including theatres, but his major work came later in his career, when he was entrusted with the task of extending the Palais du Luxembourg. 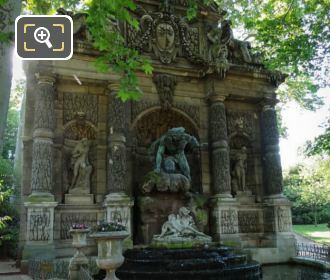 And this project started in the latter part of the 1830s occupied him in different ways right through to the 1860s with the move of the Fontaine de Medici, and as well as restoring The arms of France and of the Medici, he also added the water pool in front of the fountain, which you can also see a part of in this photograph.